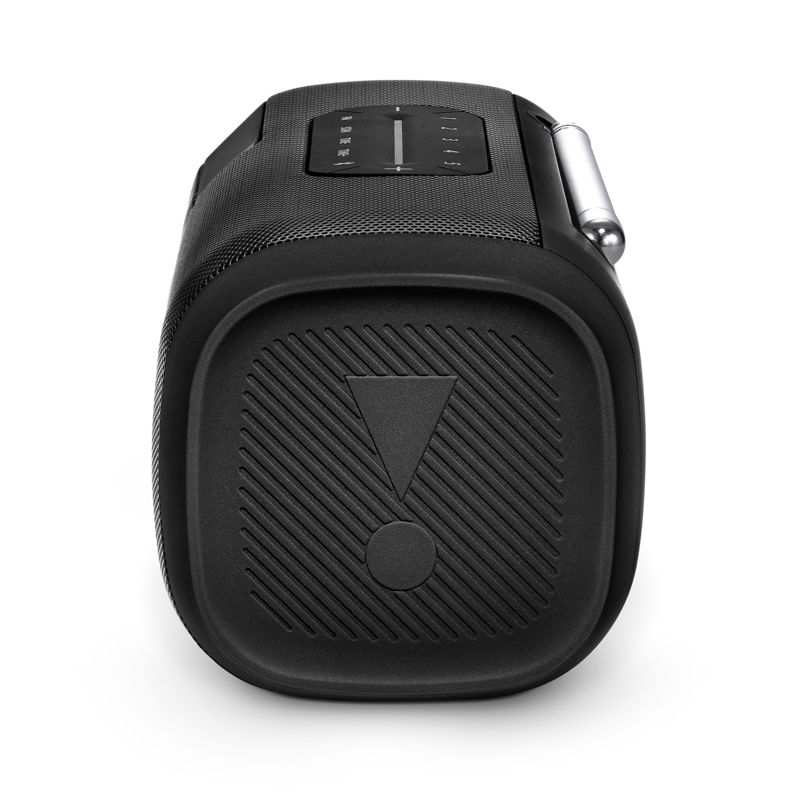 Easily tune into to your favorite stations using the 5 FM preset buttons. 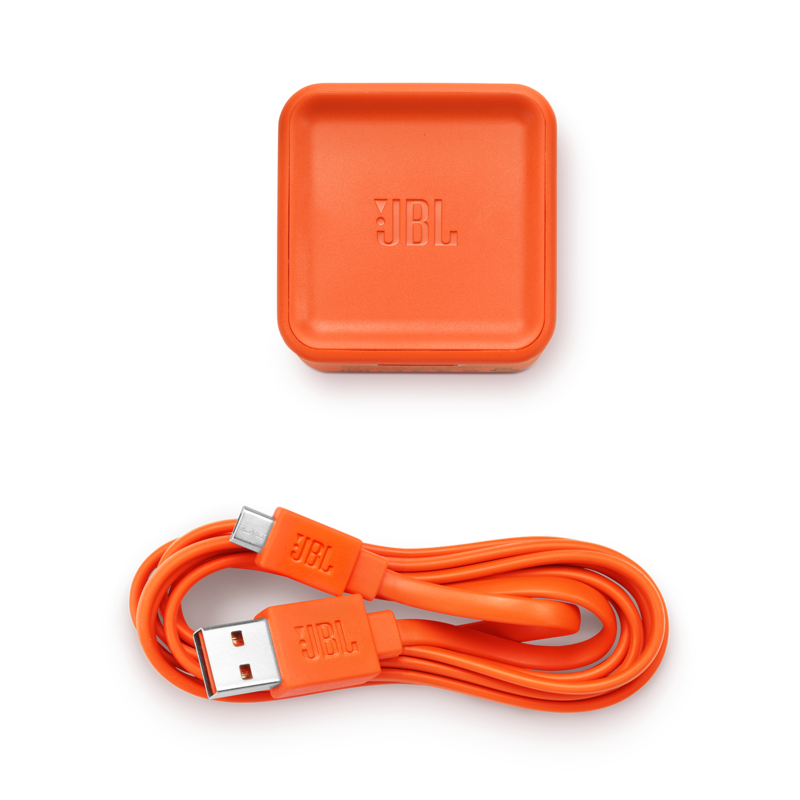 JBL Tuner FM is a compact portable Bluetooth speaker packed with powerful sound and crystal clear FM radio sound. 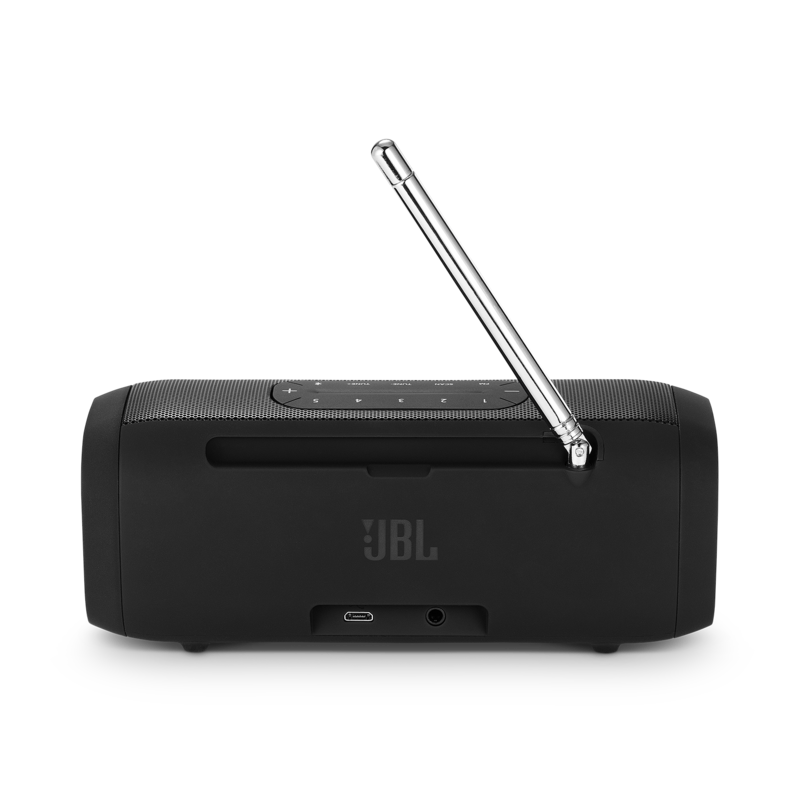 You can now enjoy your favorite tracks and radio stations anywhere thanks to its compact design and a rechargeable battery that supports up to 8 hours of playtime. 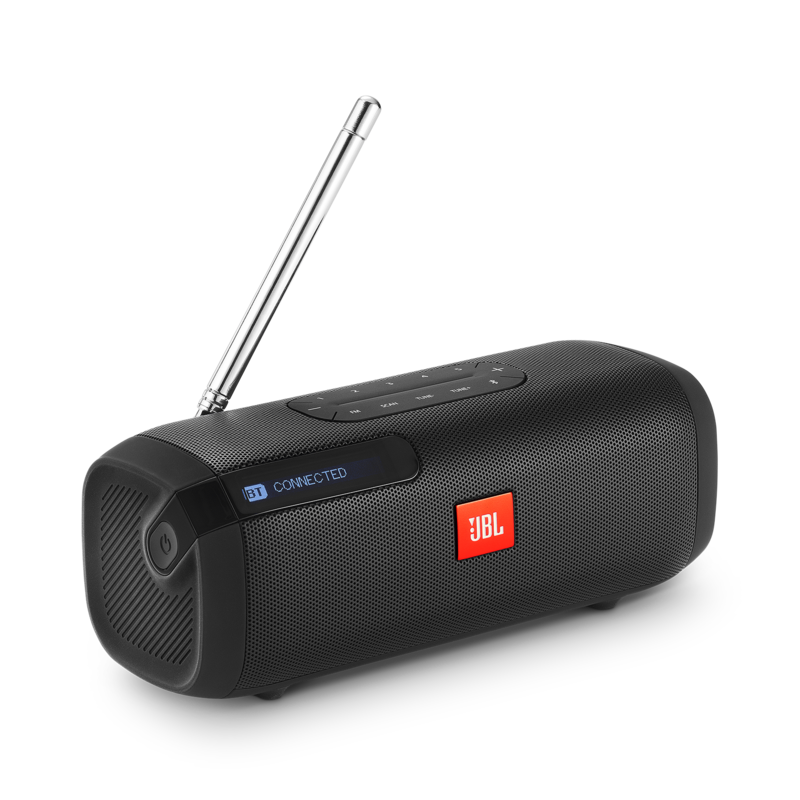 It features an easy to view scrolling backlit LCD screen and 5 FM direct preset buttons to quickly tune into your favorite stations, making it your ultimate on-the-go listening companion.